Today’s health conscious trend is stocking our pantries with sugar free alternatives. One sugar substitute, xylitol, is becoming more popular and used in many foods, medications, gums, dental products and even clothing lines. This is unknowingly putting our furry friends at risk because xylitol is extremely toxic to dogs and in many cases can be lethal. What is xylitol, you ask? Xylitol is a common substitute for sugar. It has the same taste and appearance as sugar with approximately one third of the calories. It also has a low glycemic index making it a healthy alternative for people with diabetes. Xylitol has become a popular choice in gum and mouth wash because it can help prevent cavities and plaque formation. Other reported health benefits include preventing infection, osteoporosis and even certain cancers. If this is so great for people, why can’t dogs have it? When a dog eats a product that contains xylitol, their body thinks it is consuming real sugar and begins releasing insulin. Since xylitol does not contain sugar, the insulin depletes the sugar in the blood stream. This causes severe hypoglycemia (low blood sugar) resulting in vomiting, difficulty walking, collapse and possible seizures. These symptoms can begin as early as 30 minutes after ingestion. In more severe cases, liver toxicity can occur but it is still unclear as to why this happens. The liver is important in manufacturing coagulation factors and when it suffers a massive insult, the pet can begin showing signs of bleeding abnormalities. Typically when this occurs, it is associated with a poor outcome. Dogs that have hepatotoxicity generally start showing signs later than those that have low blood sugar. They can start vomiting, become lethargic or start showing the same symptoms as those with low blood sugar. Their symptoms usually begin around 8 to 12 hours after ingestion. 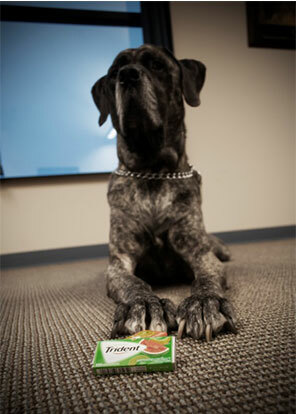 What should you do if you know your dog ingested a xylitol containing product? Call a veterinarian immediately! Your dog can start absorbing the xylitol rapidly and treatment needs to be started as soon as possible. It will be important to keep the package of the product that your pet ingested and to note the approximate amount that was eaten. 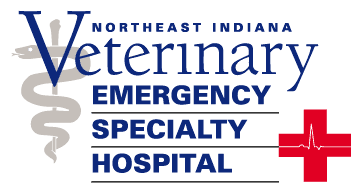 Depending on how much your dog ate, they may need to be hospitalized for IV fluids that have supplemental sugar, blood monitoring, liver protectants and coagulation testing. The good news is, at this time, only dogs have been shown to be sensitive to the toxic effects of xylitol. According to the ASPCA Animal Poison Control, there have been no reports of xylitol toxicity in cats. There have been mixed papers on exotic species and their sensitivity to xylitol. If you are concerned that your exotic pet has ingested xylitol and is showing symptoms, please contact a veterinarian or Animal Poison Control immediately. The number for the National Animal Poison Control Center is 1-888-426-4435. There is a fee associated with using this service. Please document your reference number when using this service so that your veterinarian can contact Poison Control with any questions to help tailor your pet’s treatment.